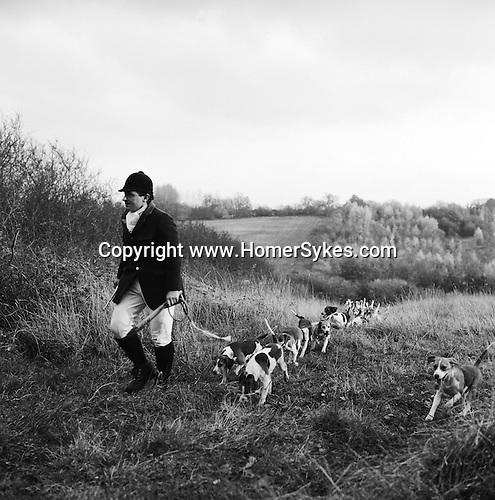 The Dummer Beagles..The Dummer hunt with permission of the Master of the Fox Hounds Association. Their country takes in the Heythrope, Warwick and the Cotswold foxhunting country. Manor Farm, Icomb, Gloucestershire. Hunting with Hounds / Mansion Editions (isbn 0-9542233-1-4) copyright Homer Sykes. +44 (0) 20-8542-7083. < www.mansioneditions.com >.